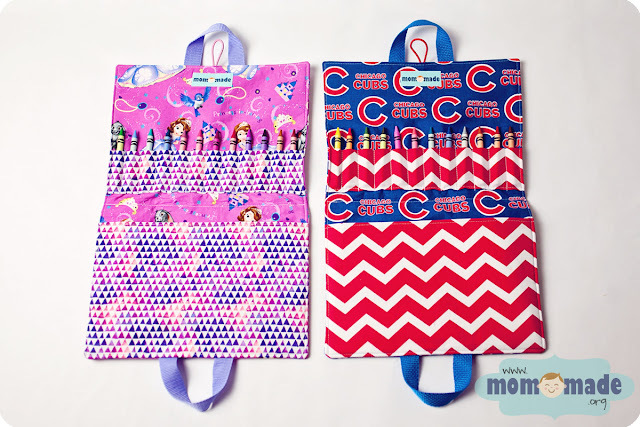 Mom-Made's crayon caddies are great for kids who like to color on the go! Available in two styles. 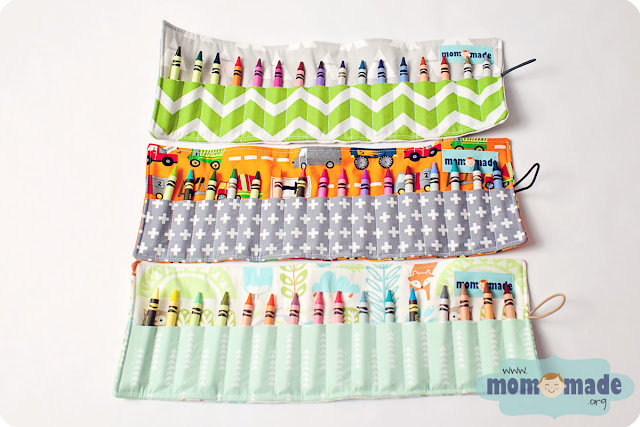 Crayon Rolls hold 16 crayons and secure with a button loop closure. 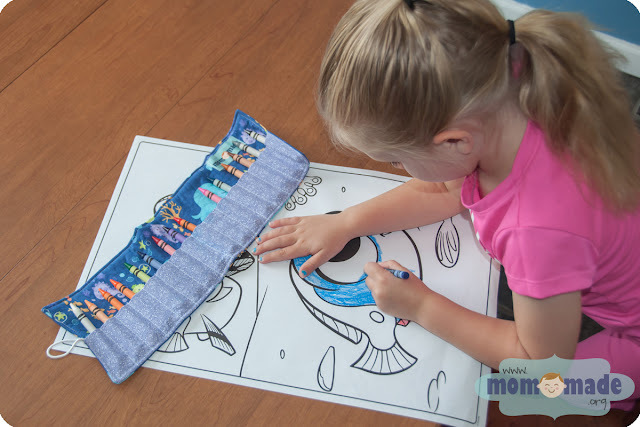 Deluxe Coloring Caddies hold 12 crayons and a coloring book (not included), include two carrying handles, and secure with a button loop closure. "My 5 year old grand daughter liked to color and draw so this is the perfect christmas gift. It came with crayons. Filling the pocket with coloring books and stickers. The personalization was a nice addition. Very well made and came within 4 days." 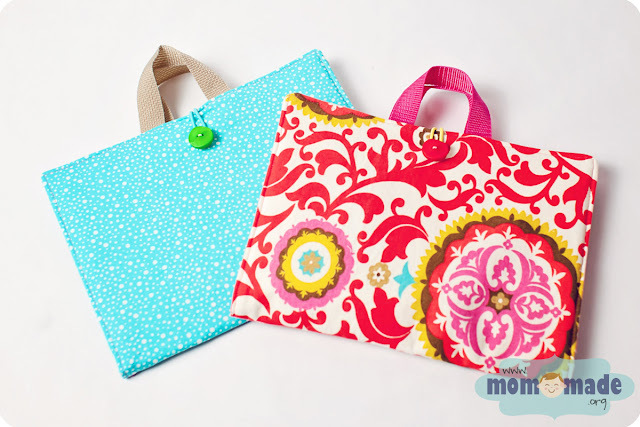 "Sarah is extremely talented at mom-made. Her work is always beautifully crafted. Also very sturdy. 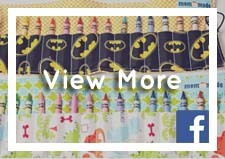 I have 2 active boys who are not gentle on things and our crayon rolls are holding up fantastically. They get used often by my 10 and 6 year olds and travel great. Thank you Sarah!" 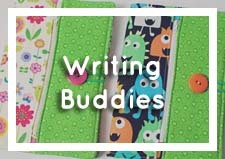 "Hey I wanted to let you know that my daughter was hugging her elephant crayon caddy. She really loves it!!! We all loved the bunny crayon roll too. Thanks again." 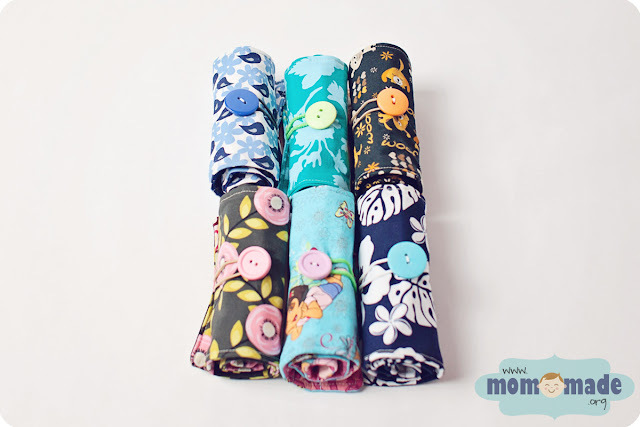 "Visited relatives over the weekend and they were all very impressed with his crayon roll."